Barwon Water will withdraw its controversial licence renewal application to pump groundwater at Barwon Downs, after a community campaign against the licence. Beeac’s Pat Breen wants hire car companies to introduce mandatory third-party insurance for international drivers after a crash forced him to seek repayment from overseas. A Colac school principal is questioning why the city no longer has an outdoor pool, and wants one to become a priority for civic leaders. Breast cancer survivor Janice Johns knows the results of a mammogram can be lifesaving and is surprised when her peers avoid taking regular screens. 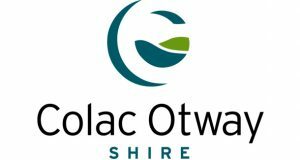 A majority of submissions to a Victorian Electoral Commission review into Colac Otway Shire’s electoral structure have called for re-introducing a ward system.